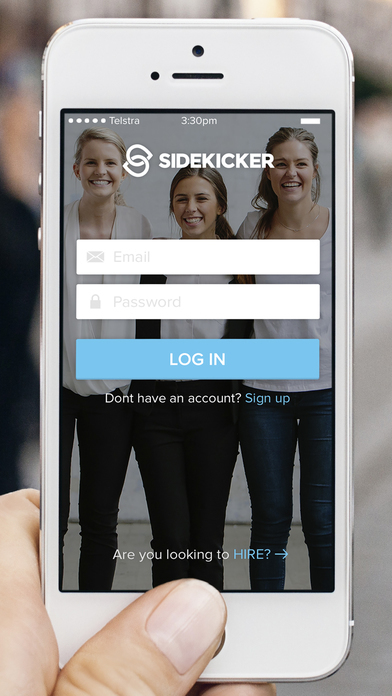 The Sidekicker app has multiple features to help you navigate your journey. 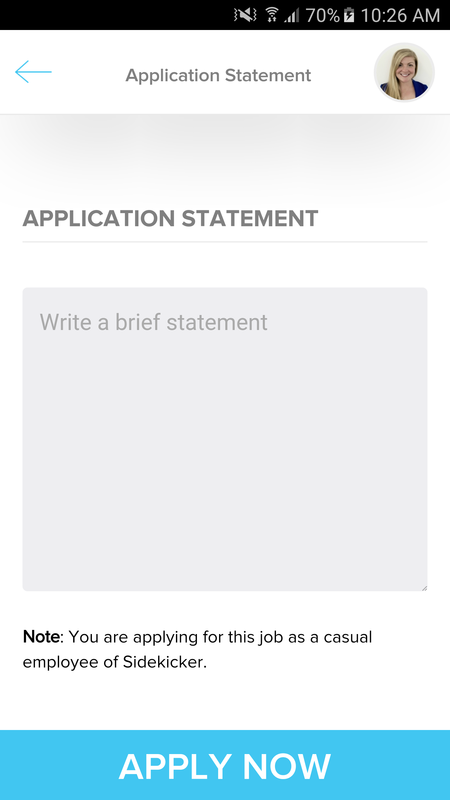 Below we will briefly go through how the app looks, where and how to apply for jobs, and how to log your hours. You will need to have an activated profile. This means you will have attended an interview and been deemed successful. You can then log in with your email address and password you registered on the website. If you have no jobs listed in your Open Jobs section, please read the help article Why can't I see any jobs on my dashboard? 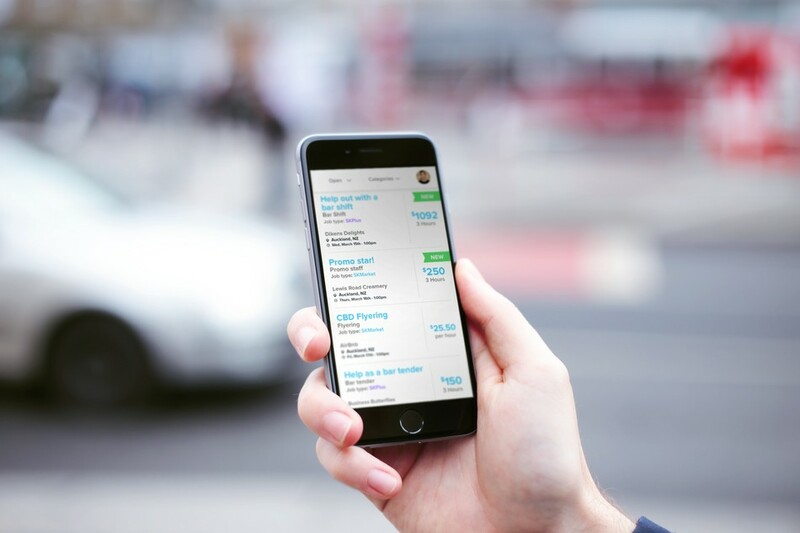 When you click on the job posting you will see more job details including an hourly pay rate, how your breaks are allocated, and also the location of the shift. If you click on the blue circle on the map this will link directly to your maps program. 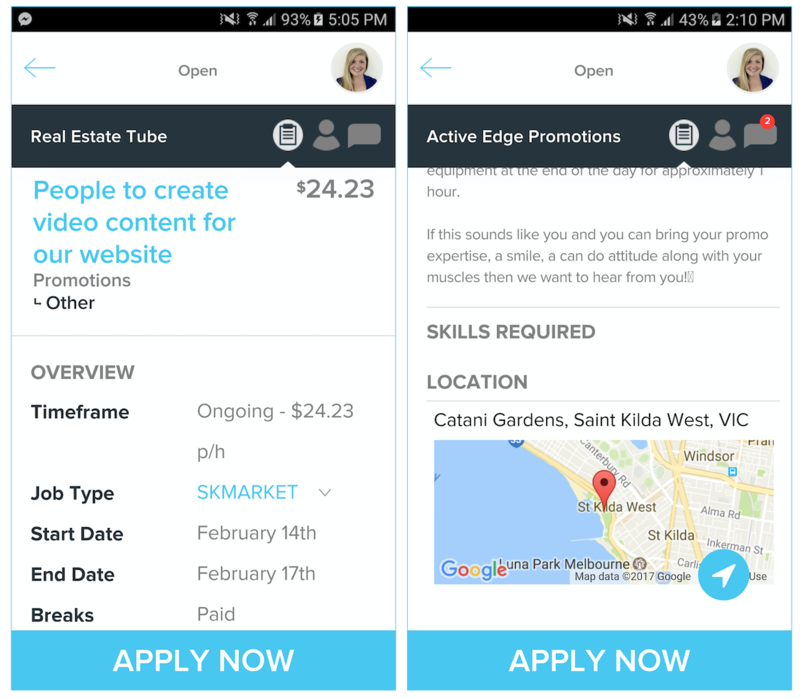 The application is your chance to sell yourself to the employer! Ensure you highlight your professional skills and experience; but also make sure your personality comes across. 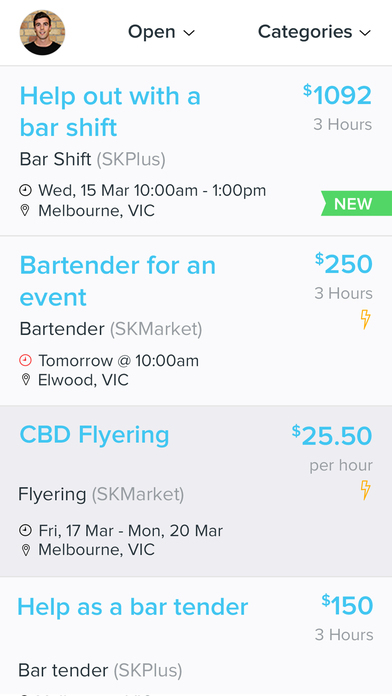 When you click Complete Job after a shift you will be able to complete your timesheet. 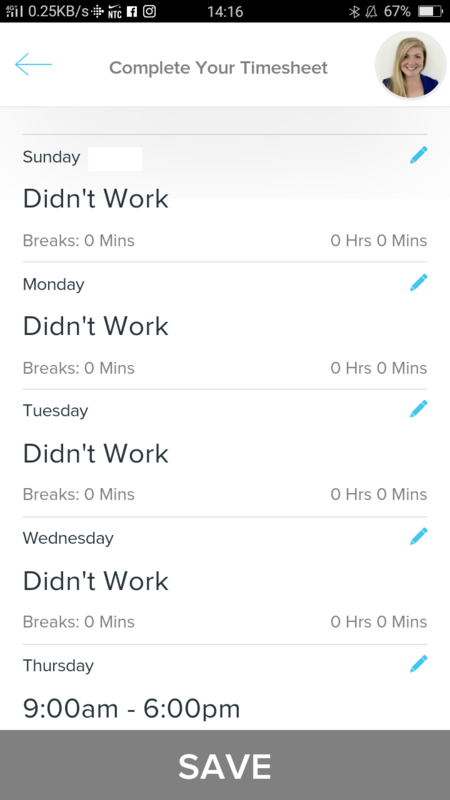 For more information of recording your hours after a shift, please read the help article How do I log the hours I have worked?